Alain Ducasse, considered to be one of the most renowned chefs of his generation, is at the helm of three restaurants each awarded by three Michelin stars in Monaco (Louis XV – Alain Ducasse), Paris (Alain Ducasse au Plaza Athénée) and London (Alain Ducasse at The Dorchester). 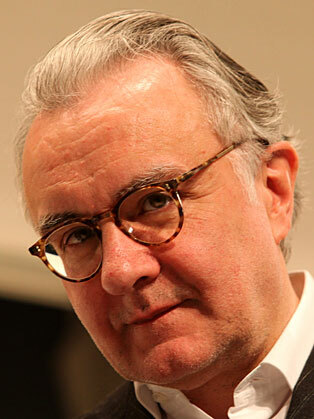 Alain Ducasse, who hails from the Landes region in the Southwest of France, is known for his innovation, attention to detail and dedication to both quality and technique. His desire to pass on this knowledge lies at the heart of all his projects. He is particularly meticulous about the recruitment and training of the people that surround him. It is this solid belief in his teams that allows him to feel confident that each one of his restaurants will offer the same level of excellence, quality and service even when he is not able to be in the kitchen. Over the past thirty years, as a chef, restaurateur, hotelier and teacher, Alain Ducasse has developed a unique expertise in the art of good living and good eating which can be clearly seen throughout the various global initiatives of the ALAIN DUCASSE Entreprise. As a passionate leader, Alain Ducasse is constantly searching to share his vast cultural awareness and curiosity with the rest of the world.